The video features a montage of footage taken from their smash hit US tour when the band hit the road as a nine-piece complete with three backing singers, a fiddle and a keyboard player. 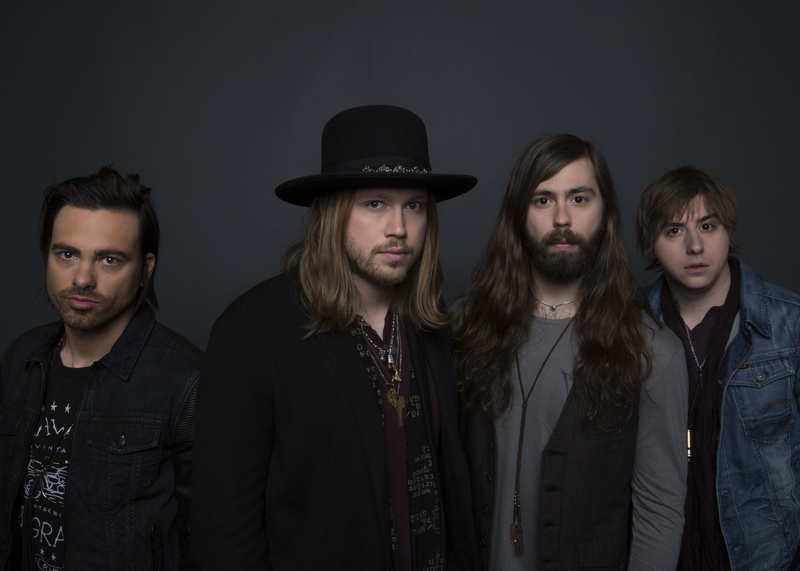 Mixing Crowes-esque groove with undeniable swagger, ‘First Time’ is an effortless union of southern rock with an anthemic soulful vibe throughout. “The song is about being in that moment having that feeling when you meet somebody and they totally just knock you out. Especially when you least expect it. We wrote it sitting it on the back porch at a friend of ours house one afternoon. We just started jamming on the riff and vibe on acoustic guitars and the story just kinda came out. If you’re lucky, you always remember the first time you have that feeling,” says the singer. Taking the finest from their influences they have created a fresh fusion of classic sounds – a hybrid of Lynyrd Skynyrd, the Allman Brothers, Black Crowes and Exile on Main Street-era Rolling Stones – wrapped up in a modern-country context. The band have been making major waves in their native America, with USA Today naming them one of 2015’s Artists to Watch and Rolling Stone Country hailing them as the Best Up-and-Comer at 2014’s Austin City Limits. Their debut release ‘Smoke’ saw them become the first band to have a debut single reach #1 on the Billboard Country Airplay Chart this decade while its video received a nomination at the CMT Music Awards. Their debut UK release ‘Trailer Trashed’ was also a staple on the Planet Rock Radio A-list this autumn.